✓ contentACCESS Mobile BETA: To improve the mobility of the contentACCESS platform we are releasing a brand new version of our mobile application, which allows the users to access all their data inside contentACCESS any time, from anywhere and on most commonly used iOS and Android platforms. 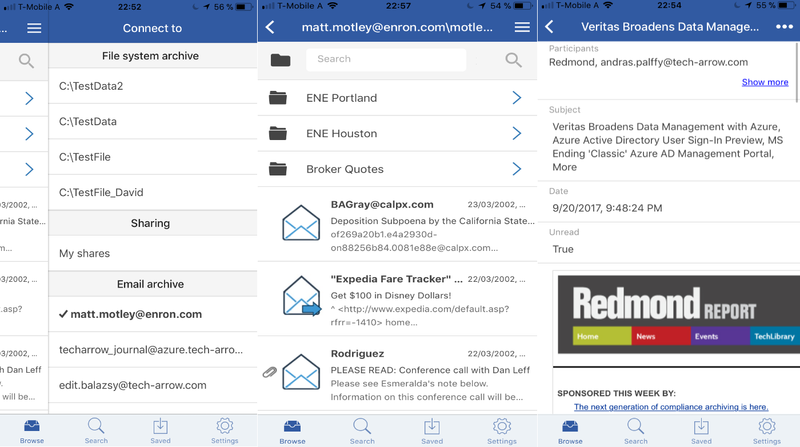 The new mobile application supports data browsing and also the same search experience as other client applications of the platform. The files and emails can be stored locally to be accessible also without internet connection as well. The users can use all available login methods on their mobile devices including forms, Windows but also Azure authentication. ✓ New localizations: To be much closer to our users, we are continuously extending the available languages in which the client applications are accessible for them. 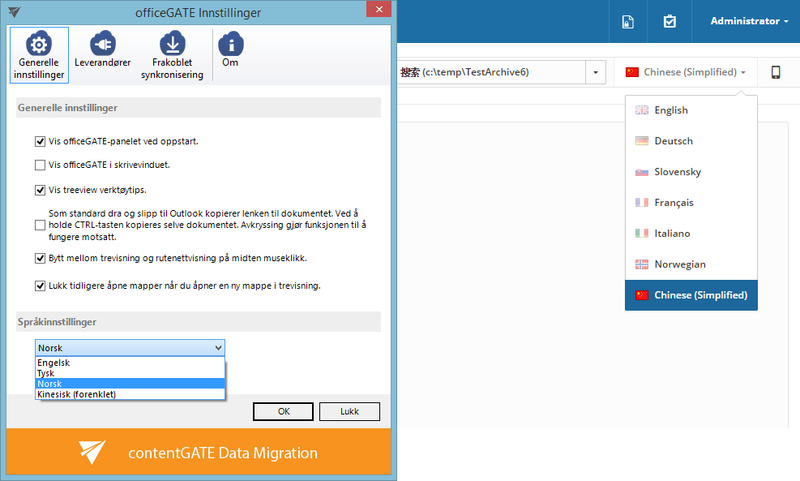 In this new version, we have added Chinese and Norwegian languages to contentWEB, officeGATE, MailApp, ShareApp and contentACCESS mobile. ✓ Filtration in job list: In the new version, we have added filtration and search possibility into the job list allowing to find and manage the jobs easier. 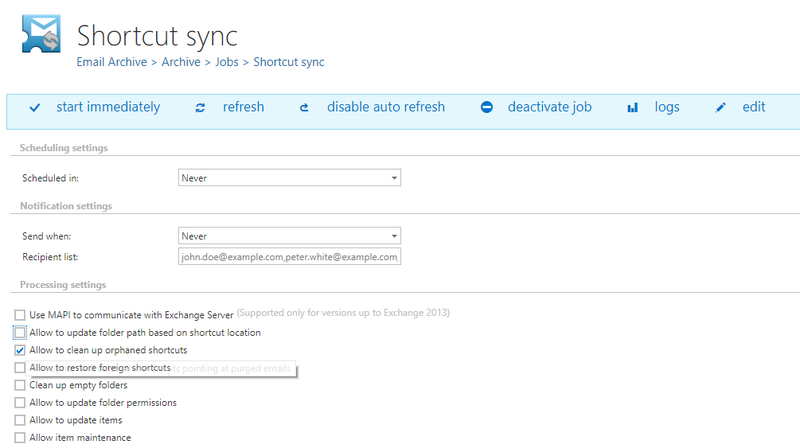 ✓ Deleting orphan shortcuts: The shortcut synchronization job is now able to delete the shortcuts for which the data were already deleted by the delete from archive job. This will help the users to clean up their mailboxes and to have only working shortcuts in their mailboxes. 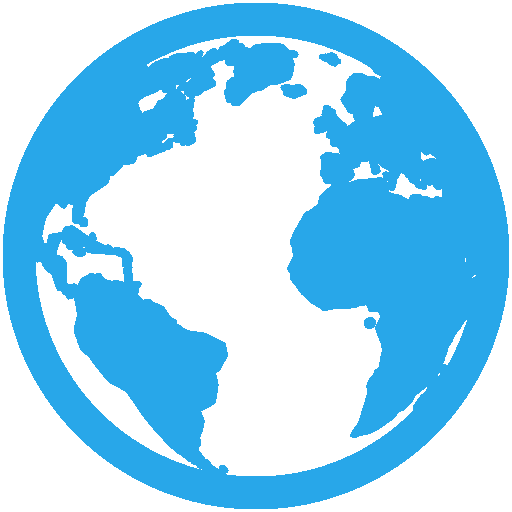 ✓ Remote file archiving BETA: To support file archiving in the cloud and hosting scenarios, we have introduced the new remote file archive agent, which allows the users to archive their local files into the cloud. The local files can be recovered any time through the easy to use client application. The local files can also be accessed from anywhere through contentWEB, officeGATE but also from contentACCESS mobile. 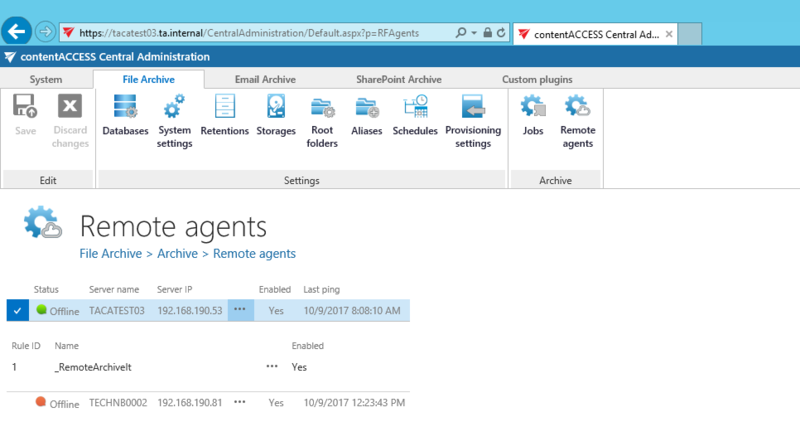 The remote agent also integrates into the local active directory and allows to synchronize the user’s permissions into the cloud, which contentACCESS uses to apply the correct security trimming on the data, and to display the files for the logged in user for what he/she had access in the local file system. 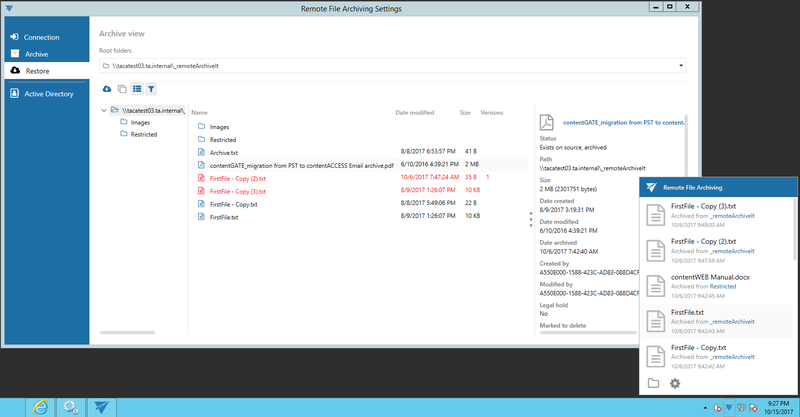 The remote file archiving feature comes together with a new remote active directory login provider. This allows the on premise users to log into contentACCESS running in the cloud using their local active directory user name and password.